Onesie for the treble, two for the PJ’s, come on y’all let’s rock this! 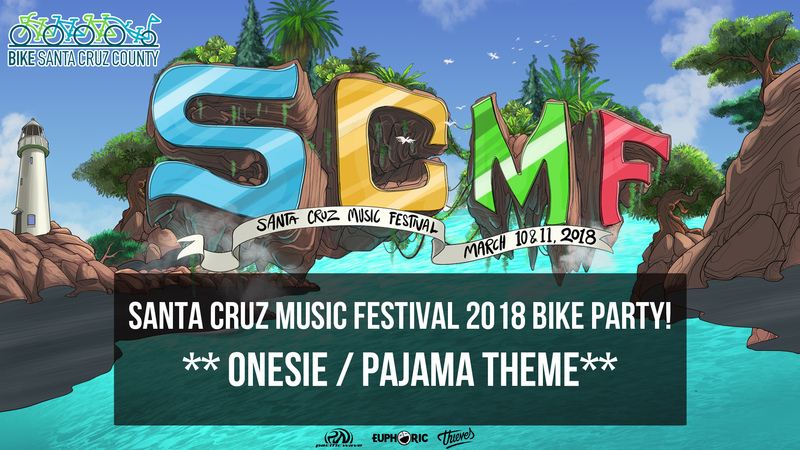 In a collaboration with the Santa Cruz Music Festival (SCMF), SC Bike Party is proud to present a daytime group ride – “Onesies & PJ’s” It’s a comfort- themed bike party, and we are giving away two tickets to the SCMF for the best get-ups, so bring your A-game. (119 Center St, Santa Cruz, CA). Ride departs promptly at 1:05pm. 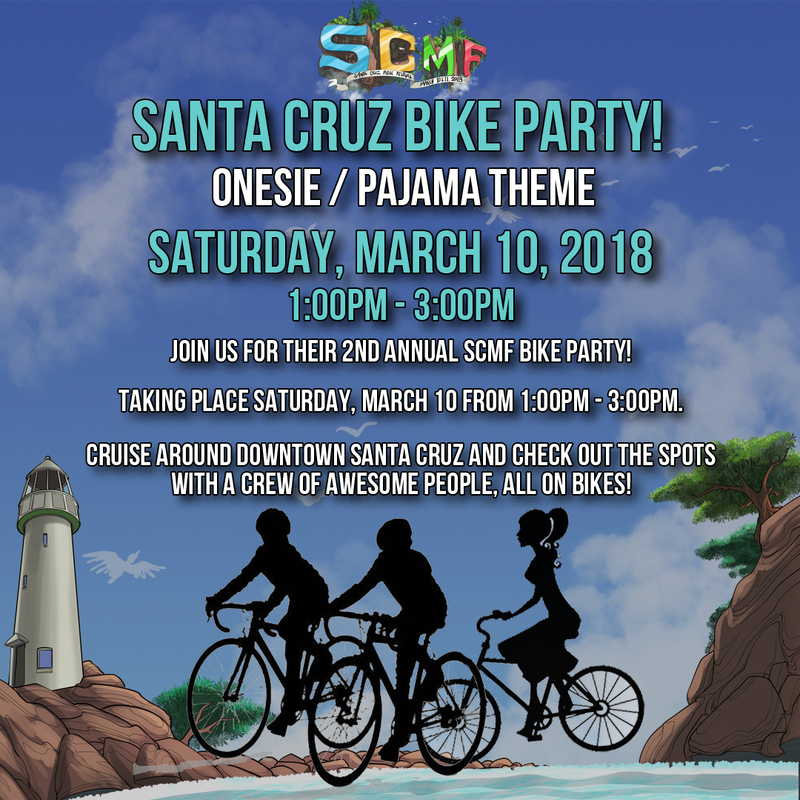 Santa Cruz Bike Party is a mobile party for riders of all ages, experience levels, and types to meet, ride, and play together in the streets. Rides are 5-10 miles long with music and dance breaks along the way. Rides move at a relatively slow pace and no one is left behind. Each ride has a theme and riders are encouraged to wear costumes or decorate their bikes to fit the theme, but no pressure! Everyone is welcome! Yes, it is true one person will win two tickets for access to the festival’s many stages and venues, on both Saturday and Sunday, March 10th and 11th. Pacific Ave Cycles is right across the street from Depot Park. Current eBikesis right down the street, and they rent, you guessed it, e-bikes! Spokesman Bikes is also conveniently located in downtown Santa Cruz.